Every now and again you get to have an aha moment. You realise you may have judged something inaccurately or that you were just seeing some stuff without the benefit of the big picture. 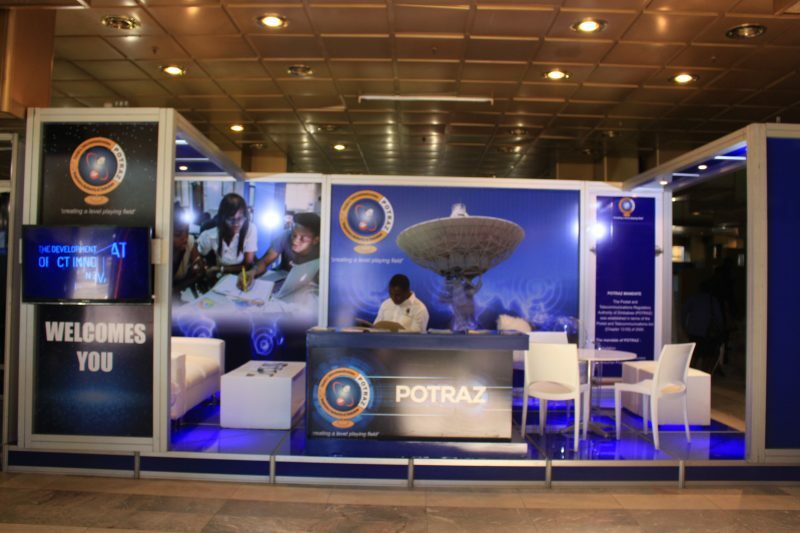 I think I had an aha moment as regards the Community Information Centres that POTRAZ is deploying around the country. Each successive one was being launched by the former president (or is he now the opposition leader? Politics confuses me), Robert Mugabe. From the launch of the first one, I (and countless others I presume) dismissed it as mere politicking and I called it the launch of an internet cafe in an age where such establishments were now obsolete. This was probably the sentiment in a lot of WhatsApp groups. When I learnt that the money used to build these CIC’s was coming from the Universal Service Fund (USF) I was even more displeased. The USF is a fund that all network operators contribute to for the money to be used to build connectivity infrastructure in areas where it does not make economic sense for the operators to build this infrastructure themselves. Such funds are found around the world really. The idea behind them is that the internet is now essentially a human right therefore governments should be responsible for making sure that those that would otherwise be left unconnected get access. Rural areas are such places especially because the population density is very low such that a base station for example would be used by very few people and thus to recover the money that goes into erecting it there is a pipe dream. At the same time the income levels in rural areas are low meaning that very few of the already few users of our hypothetical base station would utilise it and give revenue to the operators. Understanding the USF to work as I have just described, I felt that this was an abuse of the funds. The fund has been said to have been used inappropriately before. Now, I think using USF funds to build the community information centres is a smart play by POTRAZ. The issue of expanding connectivity to those that are not currently connected is not simply about building infrastructure in their areas. You may come back and realise your infrastructure is just a white elephant. There is need to demonstrate the usefulness of connectivity first. People will not just go on the internet because you have built a 3G tower in their backyard. They will go on the internet to consume content and to do stuff. What they actually get to do may seem obvious to city dwellers but maybe not so much for someone in a rural setting. I once talked about how in some communities it was observed that relevant content seemed to influence more whether people are on the internet or not ahead of the cost of that connectivity (that’s within a specific price range I would guess). If the USF is to be used to spread the internet across the country as a universal right then it’s not enough to just enable connectivity, the fund might as well be used to equip people in the outlying geographies with the skills to navigate the digital world and find value in it. If the centres are used to stimulate an appetite for the internet then connecting these areas may come to be not as uneconomic as it is right now. How else could the USF be used? Let the CIC’s be not just places for the community to learn skills and consume digital content. Let them become places where innovators within communities get resources to create relevant content for their community and the rest of the world to consume. Let them capture their stories and aspirations unto digital. Connectivity should not just be assumed to aid consumption on the internet, let it be seen as an opportunity to create as well. Second recommendation I would make is that the fund be used to subsidise the cost of accessing the internet for specific vulnerable groups. Cost of data is too high in this part of the world. At least let that cost be lower for folks who are currently outside of the internet altogether. I don’t know how such would be implemented- that’s for the smart people to figure out. However, I think if telcos know that ‘someone’ will be helping people in the rural areas pay for their mobile internet they may just build the infrastructure themselves. POTRAZ would have achieved the objective of the USF in a more sustainable way I think. Haha haha i can see the ‘boys’ visited you. No research whatsoever into your article. From 2% of telecoms revenue since dolarisation and the best they can do is pathetic CIC. From Reading between the lines can tell you havent visited a CIC. Im actually impressed that you could write coherently though given he was pointing at your head. What services are CICs providing, where are they being placed, how much are they charging for services, how many so far have been launched. Why did the muzarambani CIC need reviving? What motivated your aha moment? What else is the usf being used for. Does money into usf equal money out of usf. If not where is the rest. ??????? Hahaha Jacob. No I assure you, the boys did not visit. We don’t accept coercion from whoever, they would rather shut us down before we write what are not genuine opinions. You are right I didn’t do any research whatsoever and I haven’t visited a single one of the CIC. I do expect to find horror at these establishments. A member of our time went to one this weekend and I am eagerly awaiting his feedback on what he found. I think the bleak picture you painted is what he will paint for me. What caused my aha moment? I was going through the POTRAZ report for 4th quarter 2017 and I was asking myself what could stimulate more data usage particularly away from urban centres. I then remembered a dialogue in South Africa at Africacom last November and it hit me that if CIC’s are done right they could stimulate internet access from a demand end. I linked to an article I wrote around that conversation in the article above.